Acknowledging the fact that combinations of bread/pastry filled with meat or cheese and dressed with condiments have been enjoyed since ancient times, Food historians generally attribute the creation of the sandwich, as we know it today, to John Montagu, 4th Earl of Sandwich. This Englishman was said to have been fond of gambling. As the story goes, in 1762, during a 24 hour gambling streak he instructed a cook to prepare his food in such a way that it would not interfere with his game. The cook presented him with sliced meat between two pieces of toast. Perfect! We excel at sandwiches! Combination Sandwich Platter - our most popular! The most popular item in our catering menu includes an attractive arrangement of sandwiches: black forest ham, roast beef, pastrami, turkey breast (low fat), BLT, tuna, salmon, egg salad, seafood, cheddar (Balderson) and tomato/ cucumber; sandwiches are made on an assortment of pumpernickel, whole wheat, 6-grain, white bread and tortilla wraps. Roast Beef, Smoked Turkey, Black Forest Ham, or Smoked Meat. Tandoori chicken breast with fresh coriander, spicy Thai chicken, roasted red pepper with egg plant & pesto and very veggie (avocado, beet and cheddar). For the hot item on your agenda, our fresh baked quiches include: Quiche Lorraine (ham and cheese), Vegetarian, Bacon and Mushroom, Chicken,and Spinach. Perfect for any occasion, our ready-to-serve meat platter includes roast beef, pastrami, turkey breast, ham, sliced tomatoes, sliced cucumbers, carrot sticks, lettuce and fresh mustard. We give you everything itemized in the Assorted Meat Platter complimented by generous amounts of sliced swiss cheese and cheddar cheese. 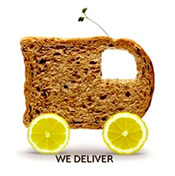 Â© We Cater Offices.com 2015. All Rights Reserved.